Britain&apos;s response to the largest refugee crisis in Europe since the second world war has been criticised as insubstantial in comparison with others in the region and within the EU. But what are the numbers? How much is Britain spending? 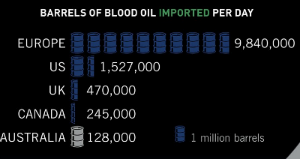 And does it match the scale of the crisis? John Gabriel of IBM and Corporate manager of supply chain social responsibility is representing the Electronics Industry Citizen Coaltion (EICC). Gabriel explains the Electronics Industry Citizenship Coalition's code of conduct, which promotes sustainability and aids electronics companies in tracing "conflict minerals" back to their point of origin. He is interviewed by Andrew Savini of Intertek, a leading provider of quality and safety solutions serving a wide range of industries around the world, on March 29th and 30th, 2012 in New York City at the Ethical Sourcing Forum. Catherine Sproule, Chief Operating Officer at Responsible Jewellery Council talks about how consumer's interest in knowing the source of the products they buy helped spur on the RJC launch in 2012 of its Chain-of-Custody (CoC) Standard applicable to gold and platinum group metals (platinum, palladium and rhodium). The CoC Standard aims to support the identification of responsibly-sourced jewellery materials produced, processed and traded through the jewellery supply chain. 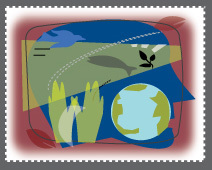 RJC defines responsibly-sourced as conflict-free as a minimum. Sproule is interviewed by Andrew Savini of Intertek, a leading provider of quality and safety solutions serving a wide range of industries around the world, on March 29th and 30th, 2012 in New York City at the Ethical Sourcing Forum. To buy a DVD of Homeboy Joy Ride visit Homeboy Industries online store here. 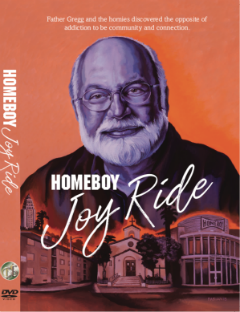 Homeboy Joy Ride, produced by Paul Steinbroner and David Okimoto, is directed by Paul Steinbroner, an accomplished film maker with over thirty years specializing in topics related to addiction, neuropharmacology, and brain chemistry. This film is one of six segments of the documentary Called from Darkness. Home Boy Industries in East L.A. is the living model of community and transformation. The whole community is on a Joy Ride - a Homeboy Joy Ride. Father Greg Boyle, S.J., founder of the Homeboy community reminds us, "We want to create a community of tenderness because the highest form of spiritual maturity is tenderness so if love is the answer community is the context. Taking you into the lives of four young Afghan children – Omid, Sanabar, Yasmina and Fayaz – this short documentary provides first-hand accounts of a generation washing cars, picking garbage, selling food and hammering metal to earn money for their families. Devastated by war and economic difficulties, these children are the breadwinners of their families, creating an uncertain future for the country. DVD available here. The mission of Skateistan is to use skateboarding as a tool for empowering youth, to create new opportunities and the potential for change. Full story here. directed by Orlando von Einsiedel. Donations accepted here. President Jimmy Carter talks about his newly released book, A Call to Action: Women, Religion, Violence and Power. To order the book from Amazon, click on the image or visit you r local bookstore or library. Thank you.